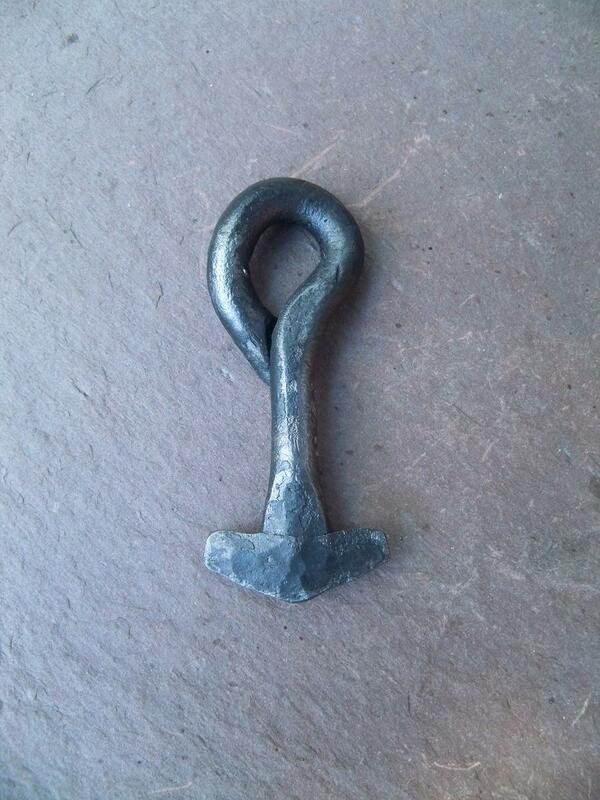 Forged Iron Thors Hammer With natural black patina. 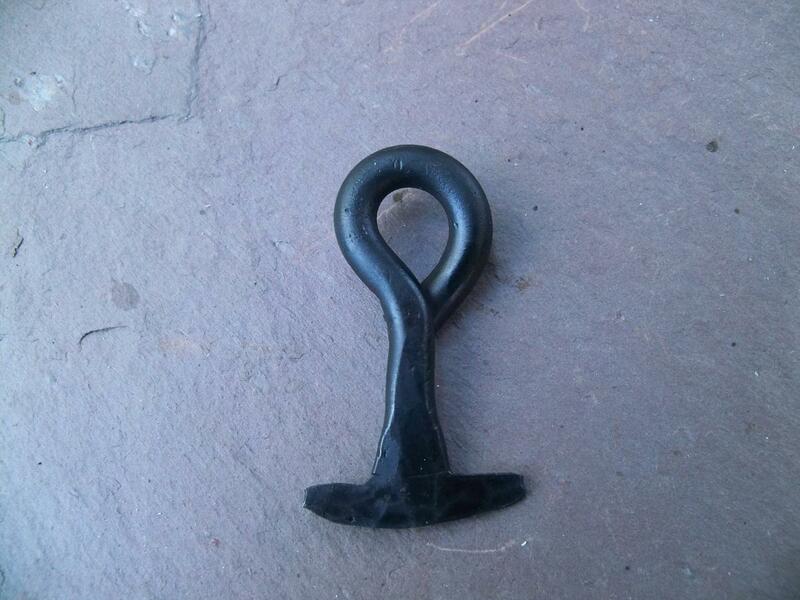 This post is in regard to achieving a black color to your iron piece without paint.
. Forge item to desired shape and do all design work/grinding.
. Heat to bright red and quench in water or oil.
. Sit item back in forge where the actual flames are still flickering.
. Leave for 3-4 minutes and allow soot to collect on the iron.
. Remove and quench as many times as needed to achieve black color.
. Clean with water and rag until no soot can be removed by rubbing.
. Clean with electric wire brush to desired shine.
. Seal with 2 coats of matt or gloss metal sealer.
. Do not use this technique with iron or steel knives. It may reduce hardness too much. The process above essentially stains the steel a black color by surface and the heat darkening the metal. The end result should be a very hard to remove black patina that uses no spray paints. Blue/Black natural patina on Thors hammer. Scale left on. Black/Blue with smooth texture. 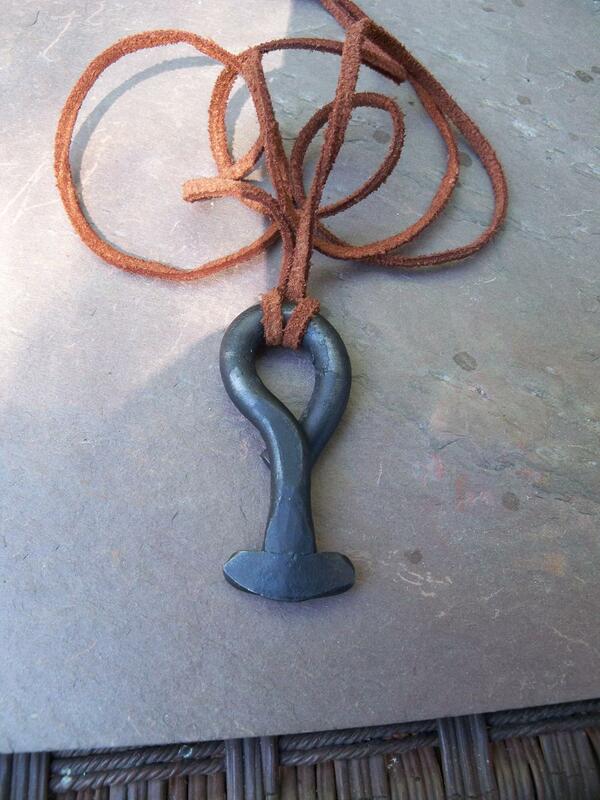 Thors Hammer amulet. This entry was posted on July 22, 2011 by .. It was filed under Knife making-Blacksmithing .